Purple lights mixed with orange are a customer favorite every October. 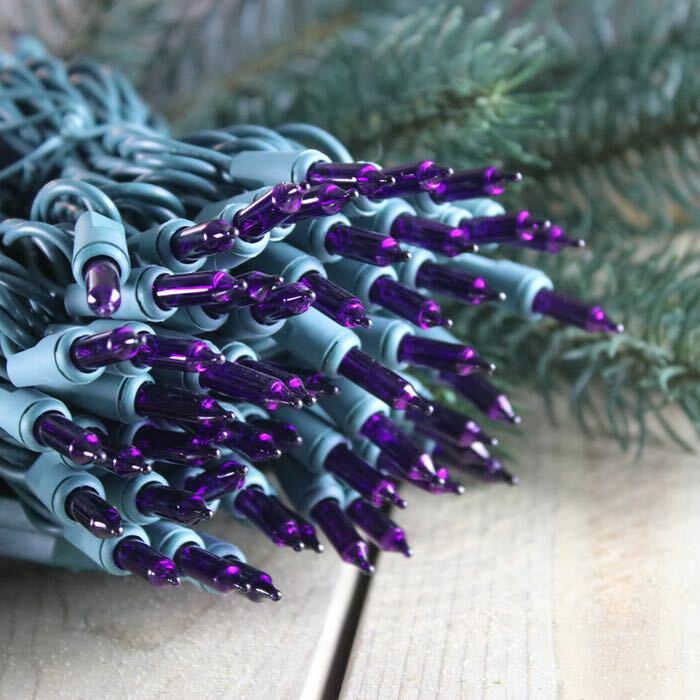 These light strings, which come on green wire with 4-inch spacing, are ideal for bringing a beautiful violet glow to your fall decorations. Wrap them around a commercial grade evergreen wreath and add a silver bow and small faux white pumpkins for a welcome touch on your front door. sporting events - go TCU Horned Frogs! 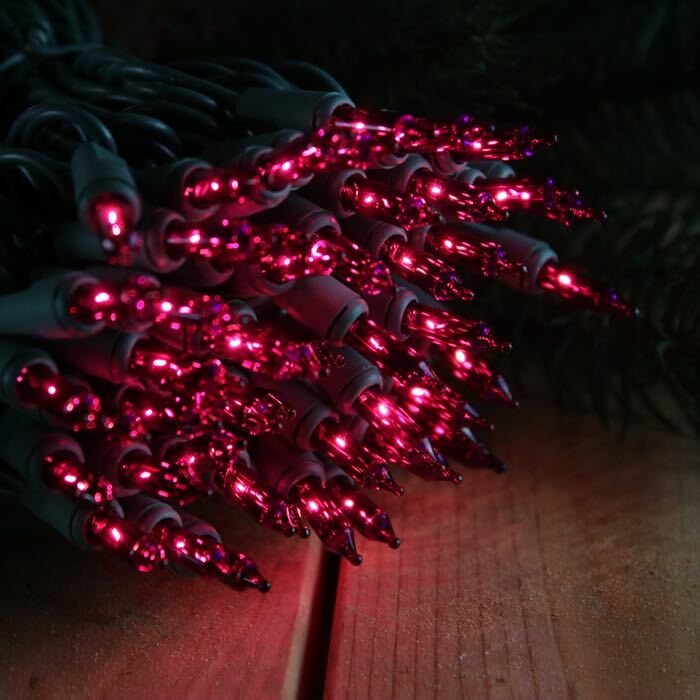 Our purple lights are more of a "bordeaux" type of purple with a lot of magenta and red overtones. A hot purply-pink color. Very festive. If one light burns out the others will continue to burn but the same current will be running through fewer bulbs. Be sure to keep an eye out and replace burned out bulbs as soon as possible. If a bulb is removed or dislodged in its base, then that circuit will go out.